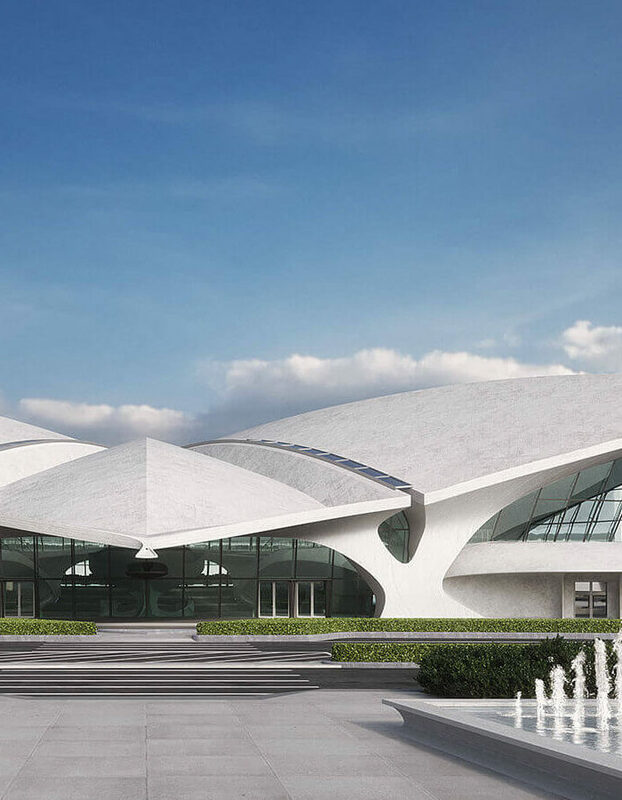 The TWA Hotel—opening in spring 2019—will feature custom-built millwork proudly crafted in the U.S. by expert Amish woodworkers. 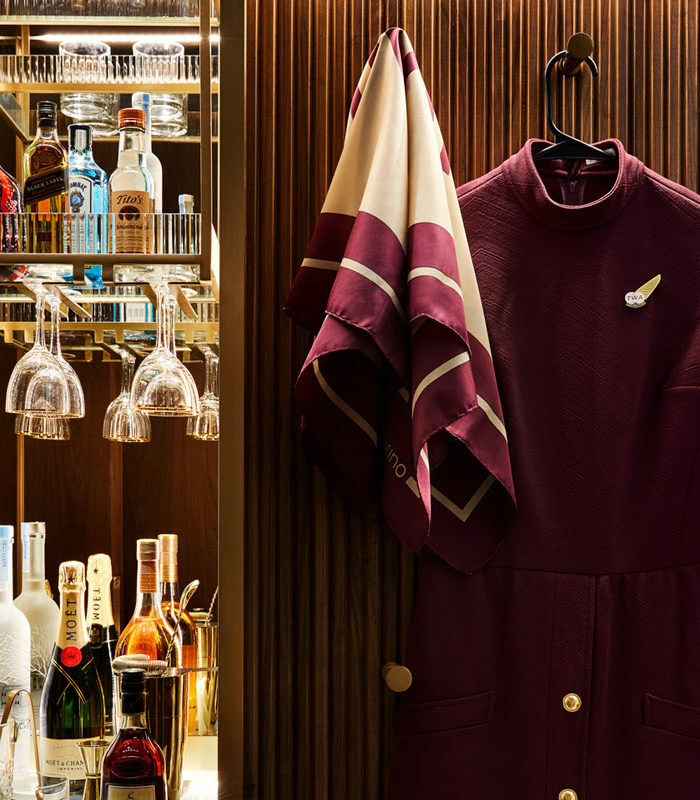 Despite receiving lower bids from vendors in China, Malaysia and Vietnam, MCR/Morse Development turned to Ohio’s Amish Country for the walnut martini bars and tambour walls that will grace the TWA Hotel’s 512 guestrooms. 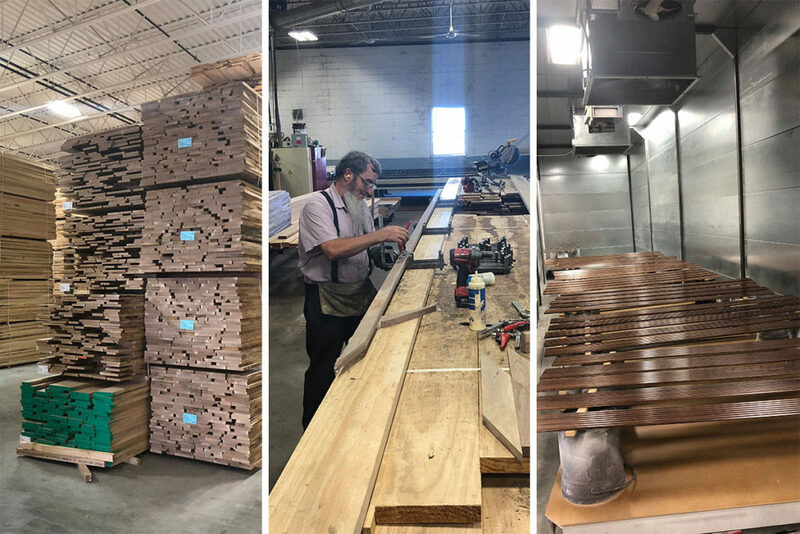 Family-owned Highland Wood Products of Millersburg, OH, and Hilltop Woodworking of Fredericksburg, OH, manufactured the specialty pieces from locally grown walnut trees. The massive project used about 20 18-wheelers’ worth of logs, involved more than 200 Amish craftspeople and took five months to complete. In total, the hotel will have 40,000 sq. ft. of tambour, which equates to a whopping 13 miles of wood. 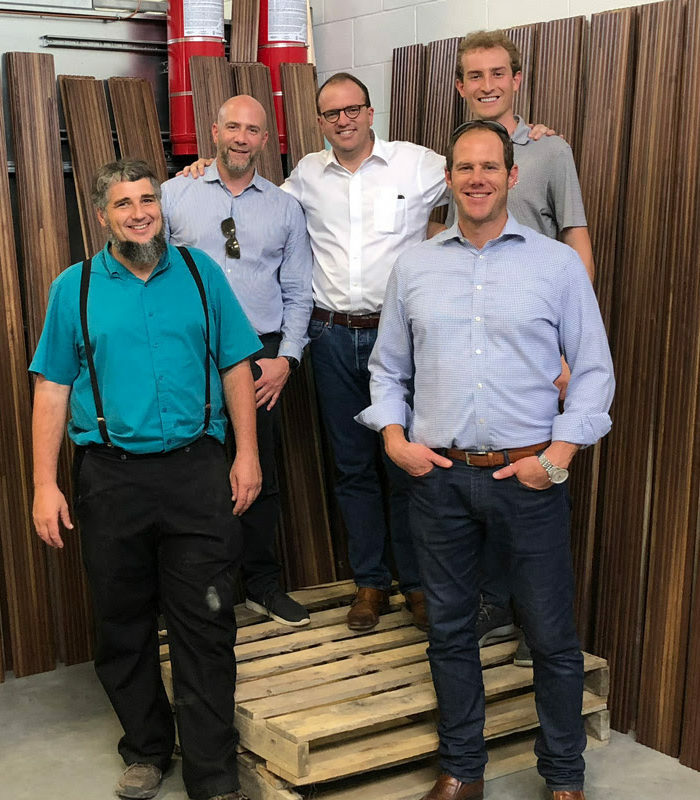 The TWA Hotel team visited Amish woodworker Joe Yoder, far left, at his Ohio factory to watch the tambour production process. 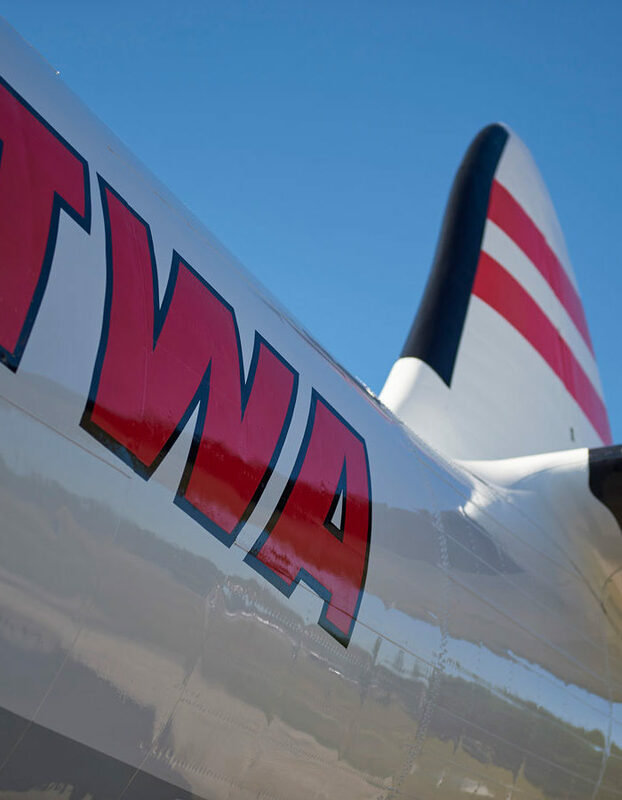 Creating the TWA tambour is a true labor of love—and proof of the Amish commitment to producing pieces that stand the test of time. After the walnut is cut, the wood is steamed to bring out its rich color and spends weeks drying. Millworkers then carefully sand and shape the boards before putting them through a moulder to achieve the distinctive tambour style. From there, artisans stain, seal, sand (again) and—finally—varnish each panel to perfection. 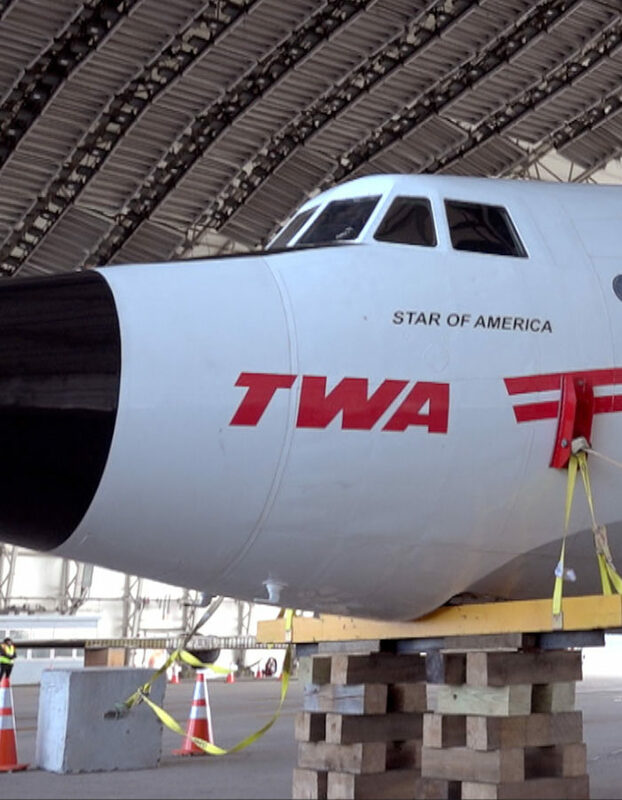 Tyler Morse, CEO of MCR and Morse Development, visited the Ohio factories last fall with TWA Hotel team members to witness the production firsthand. Joe Yoder, owner of Hilltop Woodworking, and his father, Eli, who started the company 25 years ago, hosted a behind-the-scenes tour of the Amish- and Mennonite-owned facilities—and a buggy ride courtesy of their horse, Charlie. The visitors also planted walnut trees as part of the local community’s regrowth program. Can’t wait to take my wife a former TWA Flight Attendant to this Hotel “experience”. 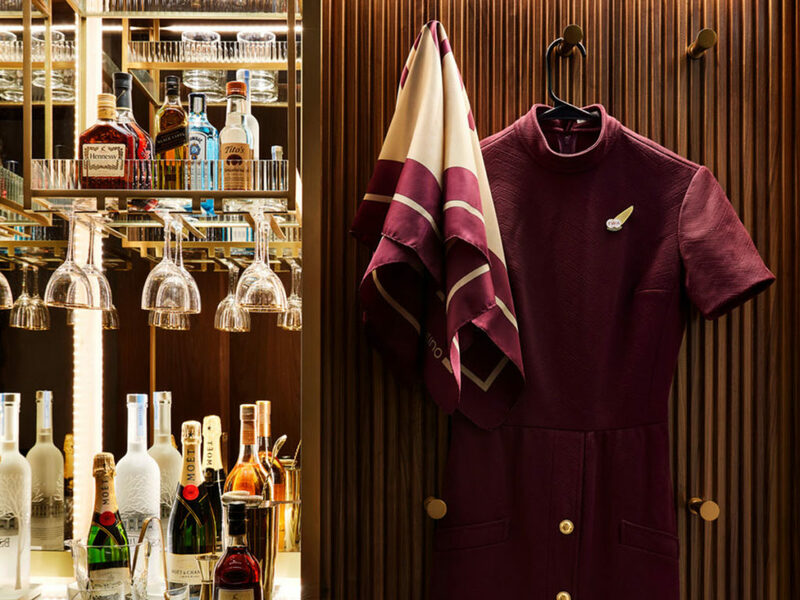 Maybe she will wear her TWA uniform when she checks in.